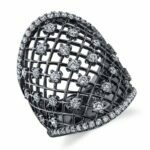 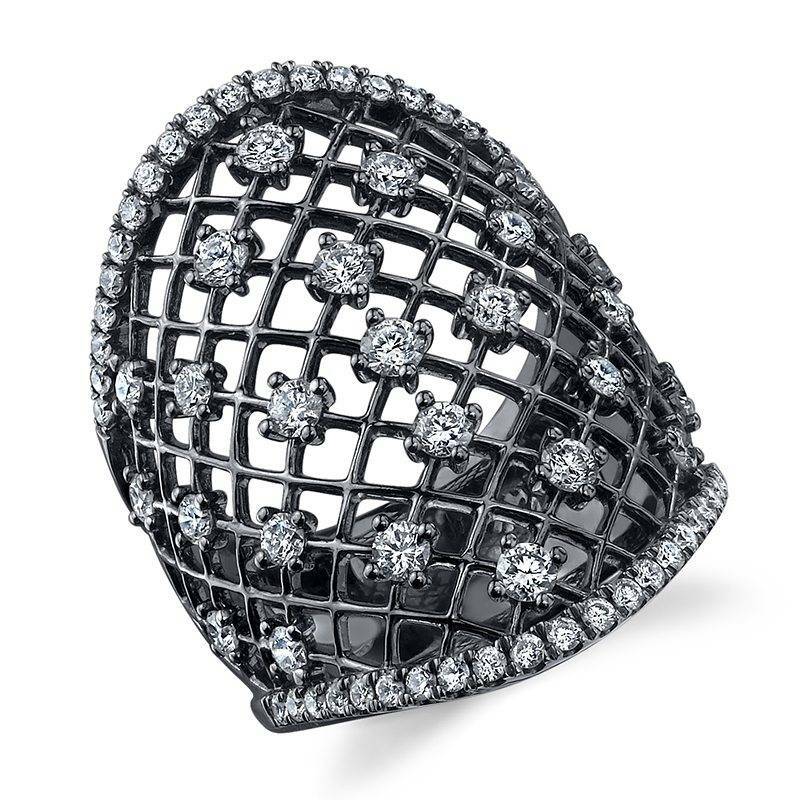 This fashion ring features cords of white gold with a black rhodium finish in a lattice pattern. 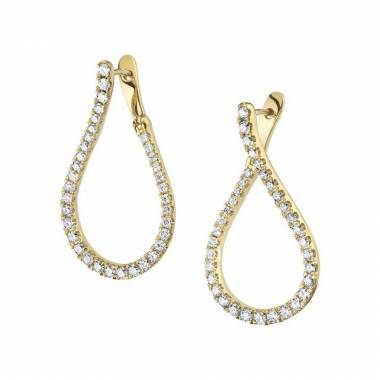 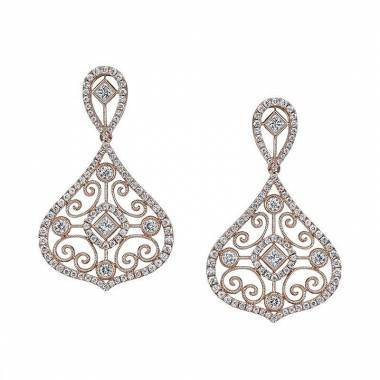 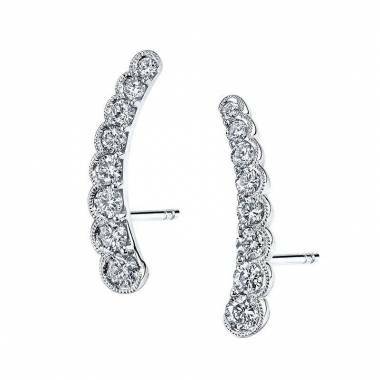 Round diamonds are strategically positioned throughout the lacy design. 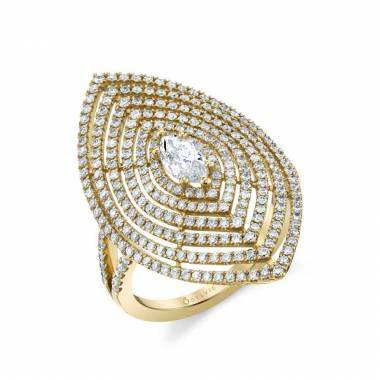 This fashion ring is 1.38 carats.